This is the next step after learning how to graph a line in slope intercept form. 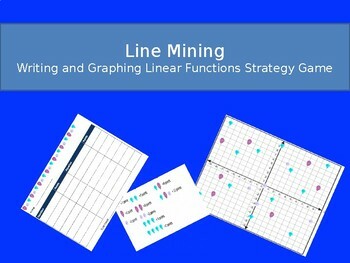 This game requires students to know and practice how to write equations given a line. 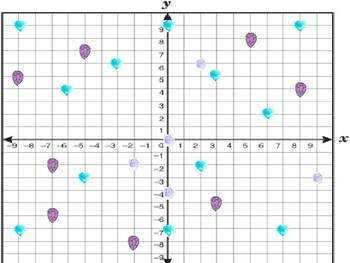 Students are given a map of Gems that they need to mine. 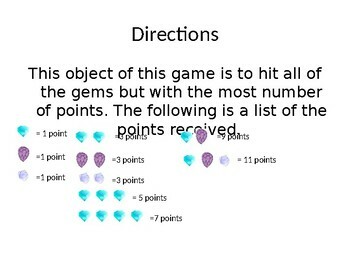 The more gems they can hit with one line the more points they receive. 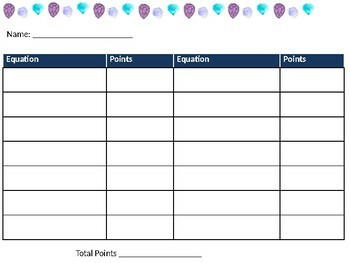 Students use the recording sheet to write the equations of the lines and how many points that they received for that line. Great game of strategy.